The owner of a laundromat in North Philly shot a would be robber and also an innocent bystander on Sunday afternoon. It happened just before 4 p.m. Sunday on the 2800 block of North 5th Street. 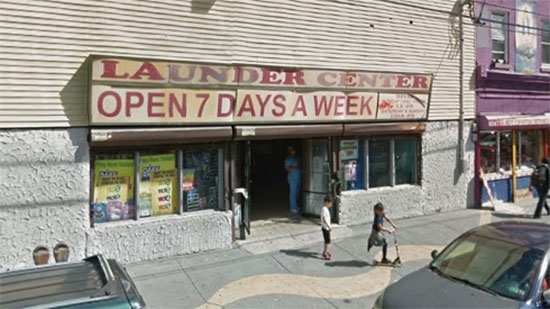 The 40-year-old male suspect held up the laundromat armed with a knife, but the owner pulled out a gun and chased him out of the store. The owner opened fire and hit the suspect twice in the chest. He also hit a bystander, a 52-year-old woman, twice in the hand. Both were taken to Temple University Hospital. The suspect is in critical condition. The woman in is stable condition. The owner was taken into police custody for questioning. No word on any charges. The robber was handed cash and dropped it while being chased down the street by the owner. Video shows the bills being picked up by several passers-by. See video below. UPDATE: The laundromat owner will not face any charges. Fire broke out in a 3-story commercial building in Downtown Wilmington on Sunday afternoon. Firefighters responded to the 400 block of Market Street around 2:15pm. The blaze grew to 2-alarms with heavy smoke and fire. The building houses a sneaker store on the ground floor with apartments above. It was placed under control around 5:30 pm. The cause of the fire is still under investigation. The Red Cross is assisting 5 displaced adults. The lawyer for embattled Philadelphia District Attorney Seth Williams filed a motion in court late on Friday seeking to withdraw from the case. Defense attorney Michael Diamondstein cites ethical conflicts with representing the sitting District Attorney in a criminal case. He also states that Williams would not be able to financially retain his services. The motion reveals that while Williams was under grand jury investigation he was represented by John Pease, a lawyer paid for by the City of Philadelphia. Now that he has been charged, the city will no longer pay for that representation. A pre-trial conference is scheduled for this week. Williams has maintained his innocence and has stated he will not resign from his position.